The land-in-trust issue has a long, complicated history. Basically, if the Interior Department agrees to acquire a tribe’s land in trust, the tribe can exercise sovereignty over that territory. Trust land is similar to an Indian reservation, and it’s exempt from some local laws, typically zoning and taxation. For decades, the Interior department has gone back and forth over whether Alaska tribes can put land in trust, or whether that’s precluded by the Alaska Native Claims Settlement Act. 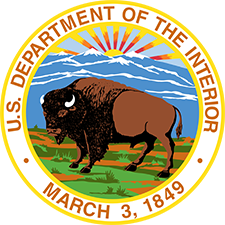 The Obama administration did not see ANCSA as a barrier, and just before President Obama left office, his Interior Secretary accepted 1.08 acre in the center of Craig into trust for the Craig Tribal Association. Other Alaska tribes have also applied to put land into trust. But the new acting solicitor, the top lawyer for the Interior Department, issued an opinion in late June that says the Obama administration’s legal reasoning was incomplete, and he’s ordered a new period of consultation and review. He says that’ll take at least a year.